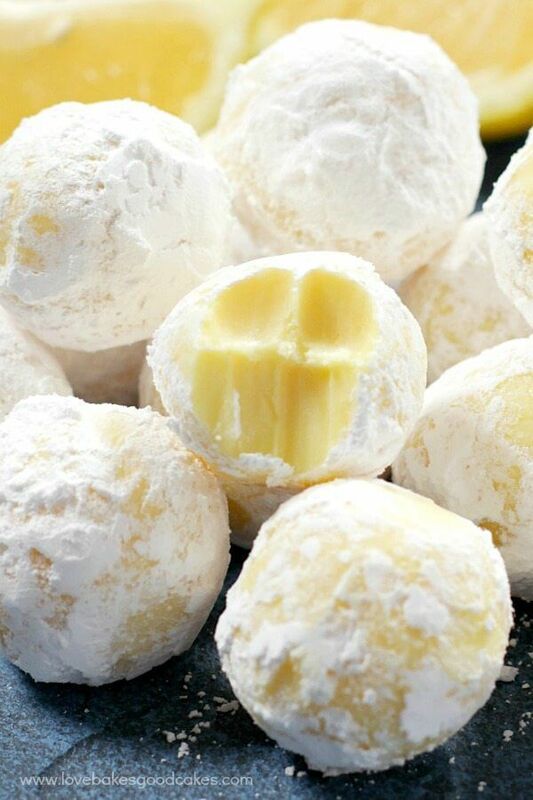 These creamy White Chocolate Lemon Truffles will become a new holiday favorite! Perfect for gift giving or including on a cookie tray. 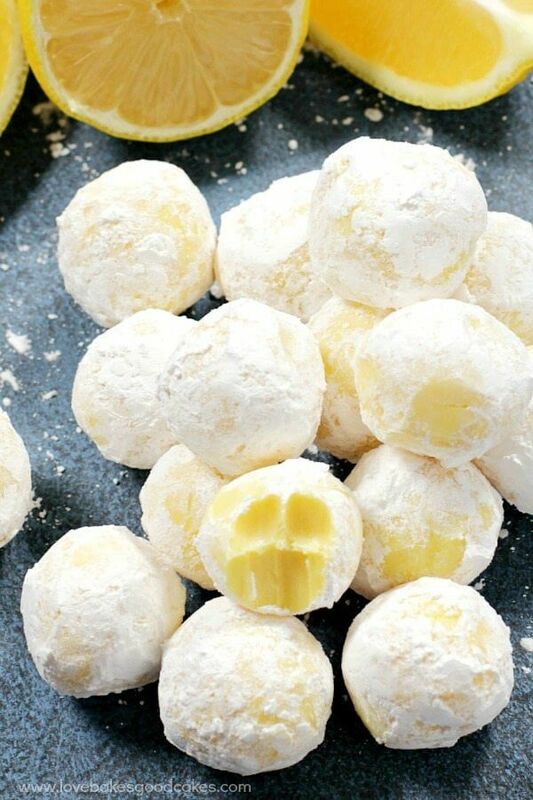 If you love lemon – or know someone who does, then you MUST make these White Chocolate Lemon Truffles asap! I know the word “truffles” sounds intimidating and all, but I assure you that they are easy to make! 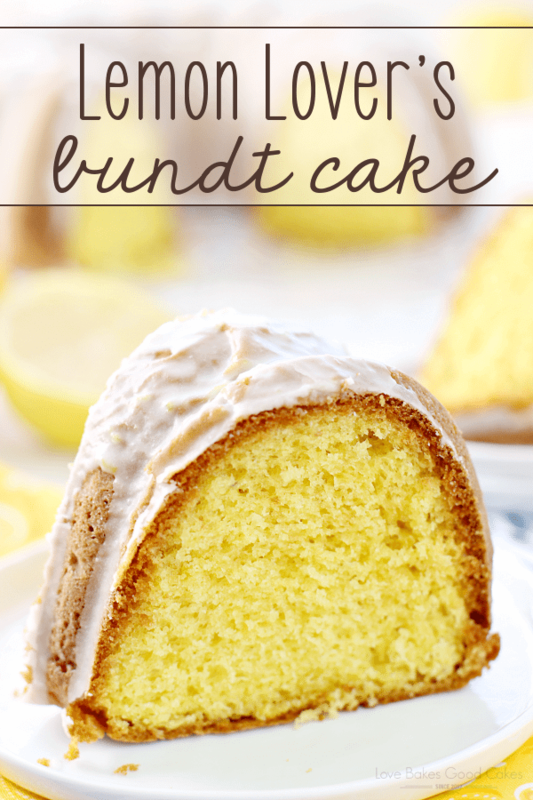 With the holiday season upon us, they make a great homemade gift for the lemon lover on your list. They also make a nice unexpected but tasty treat when added to your Christmas cookie tray! People will be asking you for the recipe! This may sound strange to you, but one of the things I love about winter is the abundance of fresh citrus! I know most people think of chocolate or peppermint during this time of the year, but I think of those, plus CITRUS! Living in Phoenix, lemons, limes, clementines, grapefruit, kumquats, and oranges are easily accessible this time of the year. I can pick them from my own tree or get some from my neighbors! As a matter of fact, when we moved into our house one of the first things we planted was a lemon tree because I LOVE using lemon for cooking and baking! 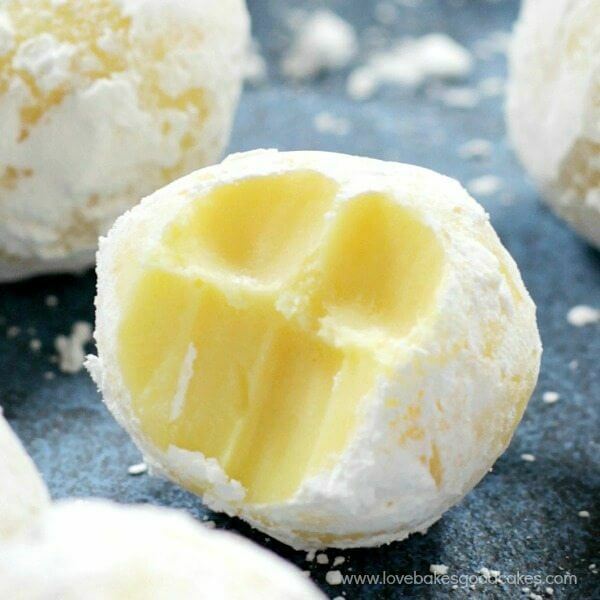 Although these White Chocolate Lemon Truffles are great during the holiday season, please don’t limit them to only the holiday season! They’re great in the spring and summer as well! 😊 And really, with how easy and delicious these little creamy treats are, you’ll want to make them all year long! Place the white chocolate chips in a medium mixing bowl and set aside. In a small saucepan, melt the butter with the lemon zest. Stir in the heavy cream and scald (bring just before boiling) the mixture. Pour the cream mixture through a fine-mesh sieve over the white chocolate chips. Add the lemon extract and optional food coloring, then stir until the mixture is smooth. Cover and refrigerate the chocolate chip mixture until the mixture is firm enough to handle, about 30 minutes. Scoop heaping teaspoonfuls of the chocolate chip mixture and form into balls. Roll the balls in the powdered sugar. Refrigerate the truffles for at least 30 minutes before enjoying. Store the truffles in the refrigerator for up to 7 days. Freeze for up to 1 month. 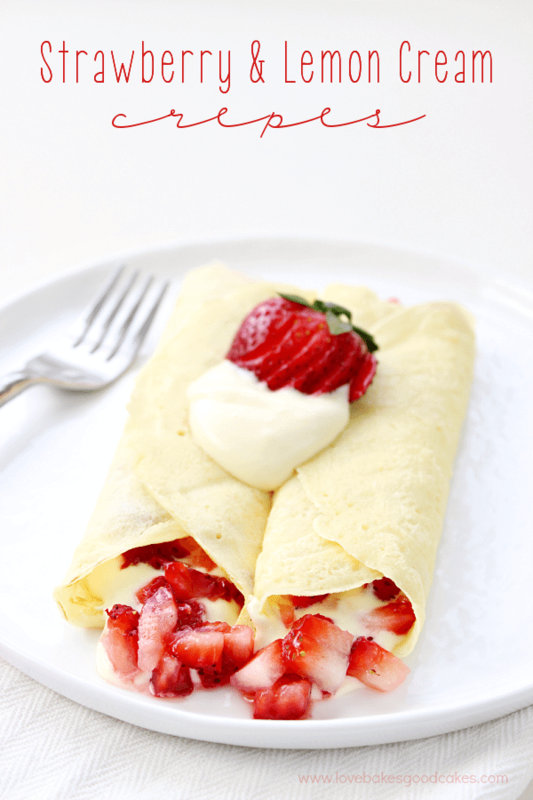 They look absolutely delicious and certainly easy enough! What a fun way to add a little variety to the holiday goodie trays! Thanks, Carlee! They really are a fun addition! Oh my word — I think I need a batch of these ASAP! 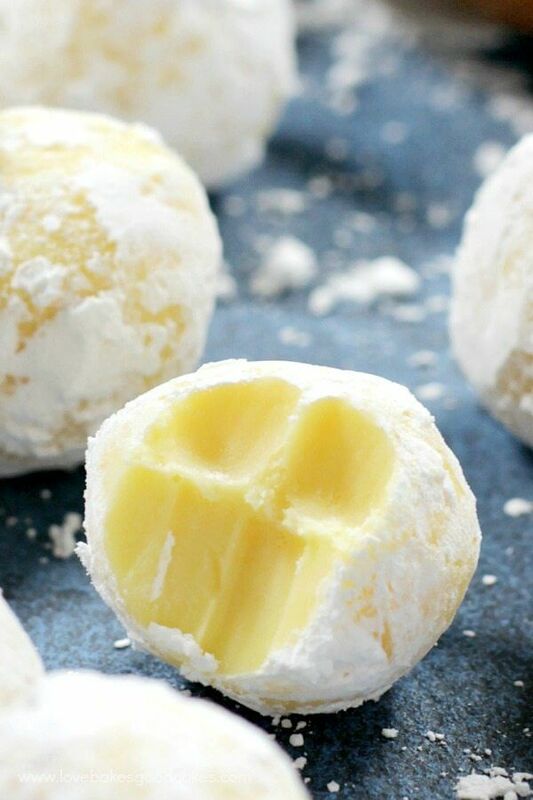 LOVE the lemon and white chocolate combo! Thanks Jamie! Oh my goodness! These are calling my name! They look so yummy! Two of my son’s favorites, white chocolate and lemon. I will definitely make these for Christmas. Thanks! 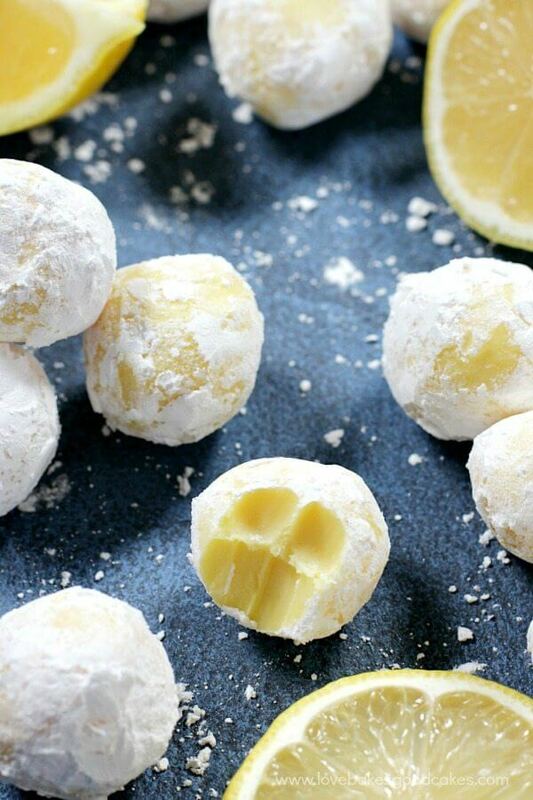 I love lemon so these will be a must have for the cookie tray. These look yummy! Wish they didn’t have to remain refrigerated… I’d like to give them as gifts! Could the lemon be replaced with cherry or strawberry or almond extract and leave out the lemon zest?